This week we travelled to Thomastwon to play against Whittlesea United. The girls all did a great job in running their little hearts out with everyone chasing down every ball for the full 40 minutes. Special mention to our first time goalies Caitlin and Joely. Thanks to Sophia for joining us you were a great asset. Fantastic effort from all!! We had a bye this week but used the time to have a run against some parents and Olivia from Under 14Cs. The skill level was superb and the parents went down convincingly. Great job girls the passing and support play was tremendous. This week we played down near Williamstwon against Barnstoneworth United. It was another fantastic effort from the team. Despite being 0-2 down within the first 10 minutes the girls held their heads up and played great attacking football with some great runs down the wings and crossed into the box that failed to find a player. Passing and attacking became more focussed in the second half and we had almost all the play to fight for a 3-2 victory. Wonderful work girls. The trip to Eltham ended up having to be a friendly game as we had some admin problems with our team sheets which meant we could not play the game. Great effort from the girls today and we look forward to the re-match on the 4th August. We had the only home game this week and boy it was another early start. Our opposition was Greenvale - and although we had numerous kicks at goal none were on target. Our opposition scored one goal in first half and another 10 seconds before the final whistle. The defence was strong again with some players going right in to meet the ball - we even had a great header from Kira. Well done everyone. 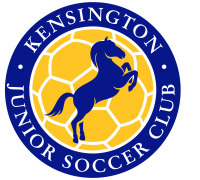 This week, the U14B Kensington Bluebells travelled to Pascoe Vale to play a very skillful girls team. Our team was hampered by injury and illness and we found ourselves a couple of players short of a full team. But Lyn’s team manager skills came to the fore and we had Anna, Abby and Caitlin from the U14C team come to our rescue. Thanks for helping us out girls and I’m sure our players would do the same for U14C if they ever need us to step in. Ruby, one of our keepers has been out of action with a knee injury and our other keeper, Liv, has been recovering from tonsilitis, meaning we needed someone to take up the challenge of stepping in as keeper. Hannah Randell took one for her team and admirably accepted this challenge and also did a really good job, making some tough saves. Next week, we have a home game to look forward to! But its probably at Newmarket Reserve on Epsom Rd so keep an eye out for a venue change. Our under 18s had a wonderful away victory today 2-1 against Banyule City. After 5 minutes we were down 0-1 with an unlucky own goal but the girls kept their composure. With superb team play, passing and pressure all over the ground we scored 2 quick goals in the second half, Our defence was excellent and held firm for the last half. Well done to all.